My iPhone Won't Backup To iCloud! Here's The Real Fix. You are at:Home»iPhone»iCloud»My iPhone Won’t Backup To iCloud! Here’s The Real Fix. Every morning, you wake up to find that your iPhone hasn’t been backed up to iCloud in days or weeks, and you don’t know what to do. Or maybe you’re trying to back up your iPhone manually, but you keep getting error messages. Before you yell “My iPhone won’t backup to iCloud!” at the cat, you should know that this is a very common problem on iPhone and the fix is simple. In this article, I’ll show you how to fix an iPhone that won’t backup to iCloud. 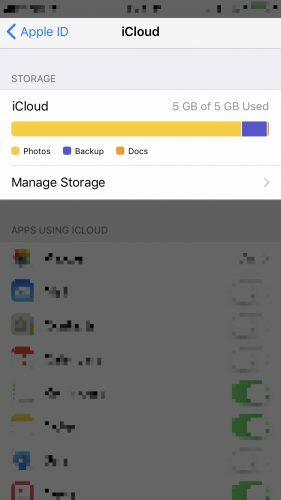 Why Won’t My iPhone Backup To iCloud? 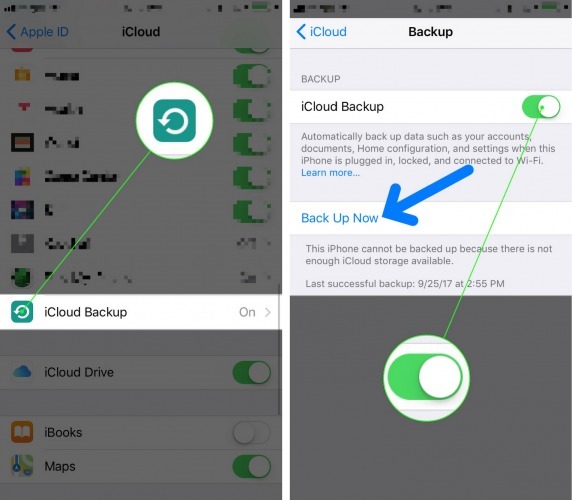 There are a number of reasons your iPhone may not be able to backup to iCloud. Fortunately, most are relatively easy to fix. For an iCloud backup to work, your iPhone needs to be connected to Wi-Fi and there needs to be enough storage space on iCloud to store your backup — so that’s where we’ll start. I’ll show you how to fix those two most common issues that interfere with iCloud backups: no Wi-Fi connection and not enough iCloud storage space. Note: For iCloud backups to work overnight, 4 things need to happen: Your iPhone needs to be connected to Wi-Fi, there has to be enough iCloud storage space available, the iPhone needs to be plugged in, and the screen has to be off (meaning that your iPhone is asleep). Open the Settings app on your iPhone and tap the Wi-Fi button at the top of the screen. 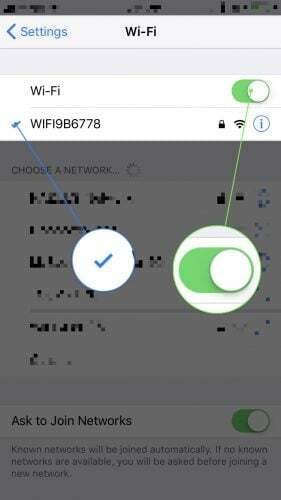 Tap the Wi-Fi network you’d like to connect to. Type in the network password if prompted and press the Join button at the upper right-hand corner of the screen. Tap on your name at the top of the display. Tap iCloud Backup. Make sure the switch next to iCloud Backup is turned on. At the top of this menu, you’ll see the status of your iCloud storage. As you can see, my iCloud storage is full! To manage your iCloud storage, tap on Manage Storage. You can either tap on an app below to manage its iCloud storage, or you can purchase more iCloud storage space by tapping Upgrade. 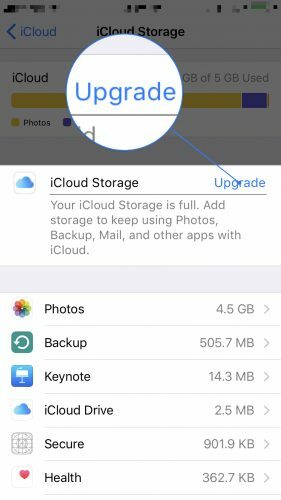 Once you’ve ensured you have enough iCloud storage, try backing up your iPhone again by following the steps above. Another possible solution when your iPhone won’t backup to iCloud is to sign out of and back into iCloud on your iPhone. This can fix any verification issues that may be causing iCloud backups to not work. Scroll to the bottom of the screen and tap Sign Out. Confirm that you want to erase all settings and you’ll be signed out and redirected to an iCloud sign-in page. Enter your iCloud username and password and follow the on-screen prompts. Once you’re signed back in, try backing up your iPhone again. 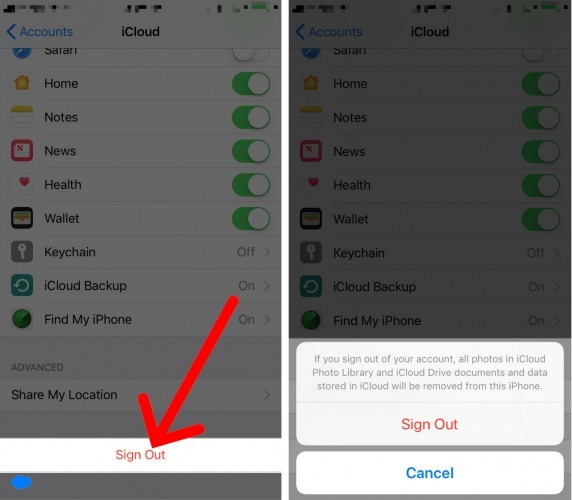 Does Signing Out Of iCloud Permanently Delete The Files On My iPhone? A few readers have asked about the pop-up that appears on your iPhone when you sign out of iCloud. The message says that you’ll be removing (or deleting) data from your iPhone. I completely understand the apprehension a lot of people feel when they see it, but there’s nothing to worry about. Think of iCloud like a record building that keeps copies of all of the files on your iPhone. Even though you’re removing them from your iPhone, all of your files are stored in iCloud Drive for safe keeping. When you sign back in with your iPhone, all of your data will automatically redownload to your iPhone. You won’t lose anything in the process. 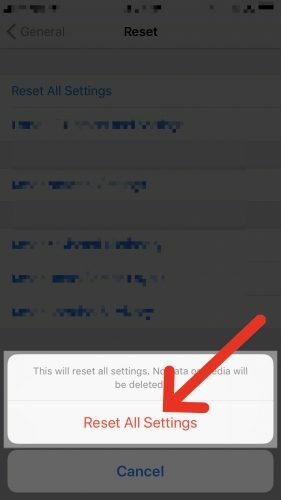 If you’re still having issues backing up you iPhone, it’s time to reset your iPhone’s settings. 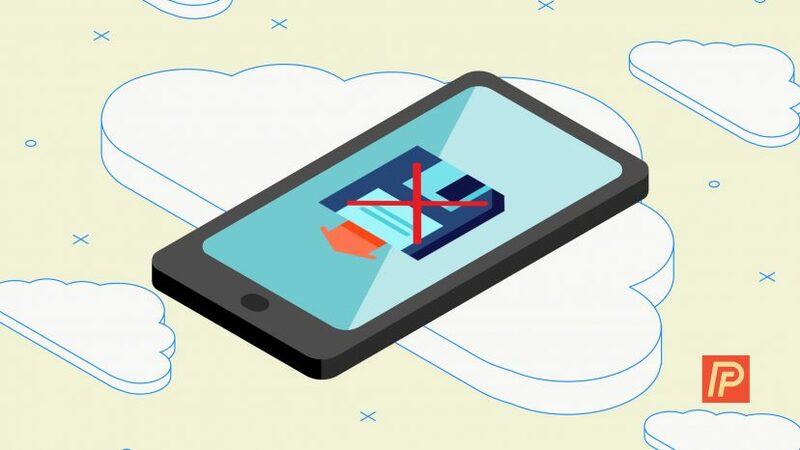 This process won’t wipe any content from your phone — only the system settings like Wi-Fi network passwords, accessibility settings, etc. In turn, may erase any settings interfering with your iCloud backups. Select Reset All Settings and confirm that you’d like to proceed. After your iPhone restarts, test your iPhone by performing another iCloud backup. If it doesn’t backup, read on. Connect your iPhone to your computer using the provided USB cable and open iTunes. Click the iPhone button at the top of the iTunes window. computer under the Automatically Back Up header. Then, click the Back Up Now button on the right-hand side of the screen to backup your iPhone to iTunes. After your backup has completed, follow our tutorial on how to DFU restore your iPhone. A DFU restore is different from a traditional iPhone restore as it erases both your iPhone’s software and hardware settings, clearing your iPhone of any potential issues and bugs. This type of restore is often seen as the end-all-be-all solution for iOS software glitches. And there you have it: Your data is safe because you iPhone is backing up to iCloud once again. If you have any other iCloud issues, let us know in the comments — we may address it in a future Payette Forward article! Previous ArticleHow To Transfer Pictures From iPhone To Computer: The Best Way!